What are the biggest pitfalls in the humanitarian system, at a time when the need for aid is growing every year and funding is lagging behind? How has the humanitarian system performed over the last three years? What are the opportunities for change? Every three years, after extensive research, ALNAP publishes the State of the Humanitarian System report. 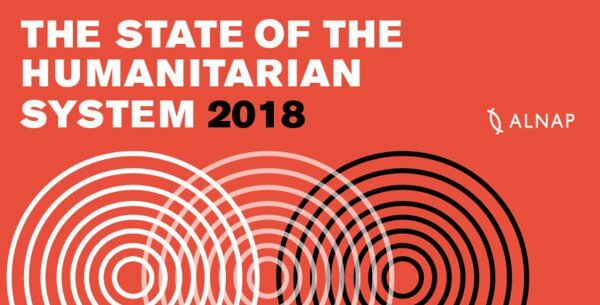 The 2018 SOHS report provides an up-to-date assessment of the size and shape of the global humanitarian system and its current performance.This report will be the topic of discussion during the meetup, that will also highlight opportunities for innovation. Reintje van Haeringen, Boardmember of DCHI and CEO of CARE Netherlands. Thea Hilhorst, Professor of Humanitarian Aid and Reconstruction, Institute of Social Studies. The event is organized by KUNO, DCHI, the Dutch Ministry of Foreign Affairs, the UN OCHA Centre for Humanitarian Data and the International Humanitarian Studies Association (IHSA).